Protagonist Ragab (Omar Sharif) has returned to his home after three years abroad. 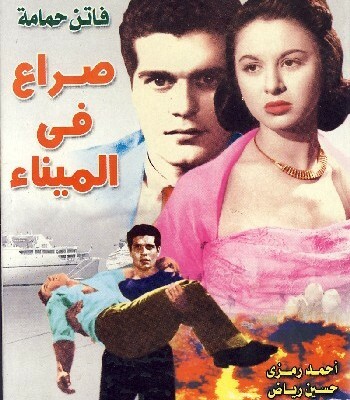 He has been working on a ship saving money so he can marry Hamedah (Faten Hamama) whom he is in love with. When he returns he realizes that marrying her will not be so easy as during the three years of his absence she has entered a relationship with the wealthy Mamdouh. Both Ragab and Mamdouh are in the shipping industry, and Mamdouh is the son of the the owner of the shipping company Fadel Bey. Mamdouh wishes to marry Hamedah, although his feelings are not reciprocated as Hamedah is in love with Ragab. Ragab feels the same towards Hamedah, but does not believe that Hamedah truly loves him over the wealthy Mamdouh and is so jealous of the relationship between Mamdouh and Hamedah that he wants to kill both of them. The movie plot follows the drama which unfolds within this love triangle. “User Reviews.” IMDb, IMDb.com, 2 June 2006, www.imdb.com/title/tt0049761/reviews?ref_=tt_ov_rt.